A relaxing family ride in the afternoon or maybe a hard uphill day tour? All around Dorfgastein is a well-developed network of biking trails and paths. 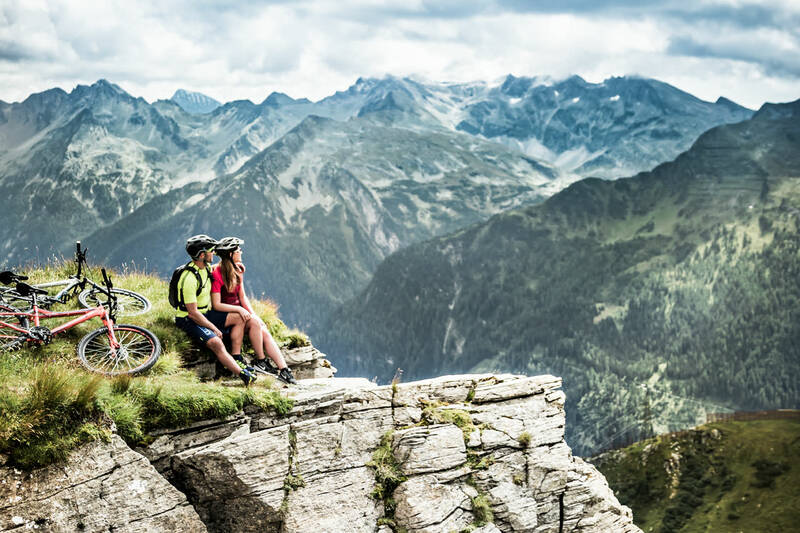 The Gastein Valley Bike Path takes you along the most beautiful places to enjoy an idyllic break in the green-covered countryside, marvelling at the many sights and natural monuments - perfect for a family excursion! And because a traditional snack and stop is simply part of a day out recreationally biking, a number of cosy cottages and chalets are found along your route, waiting with food and drink for active cyclists. Active mountain bikers will find true happiness on quiet mountain roads, and for climbers on two wheels, there are forest roads and paths on which even the most intense of uphill enthusiasts can let off steam. There are even a few trails that are particularly hard and demand everything from experienced cyclists - but the reward is worth it: great views from the mountain summit. For those who are looking to travel without their own bike or equipment, we have some rental bikes and E-Bikes on hand!